Excellent commercial land located in the heart of Andover and ready for build. Approximately 300 s.f. of frontage by 250 depth this level lot is surrounded by national retailers. 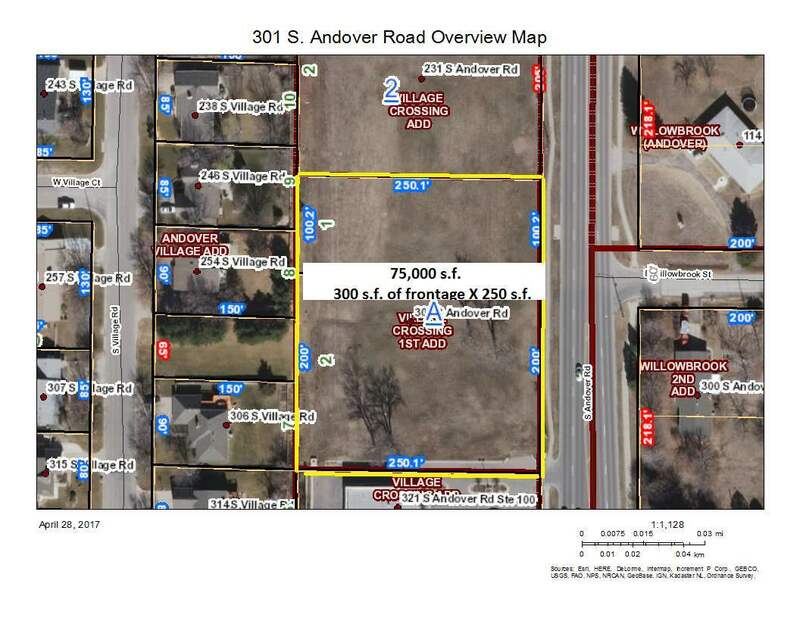 This lot is priced well below competitive land including the retail pads at Dillons. It is perfect for medical center, retail strip, restaurants, CVS Pharmacy or Dollar Store type business. Call today for more information.